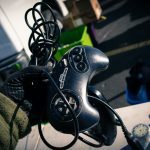 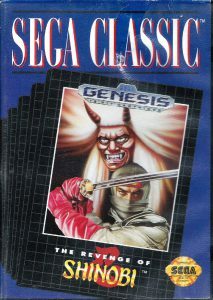 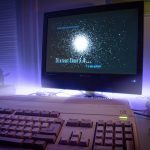 When released, the Sega Genesis, or Mega Drive as it’s known in Japan and Europe had state of the art graphics. 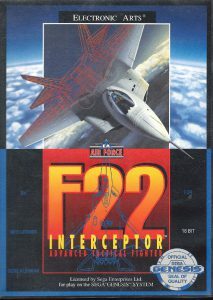 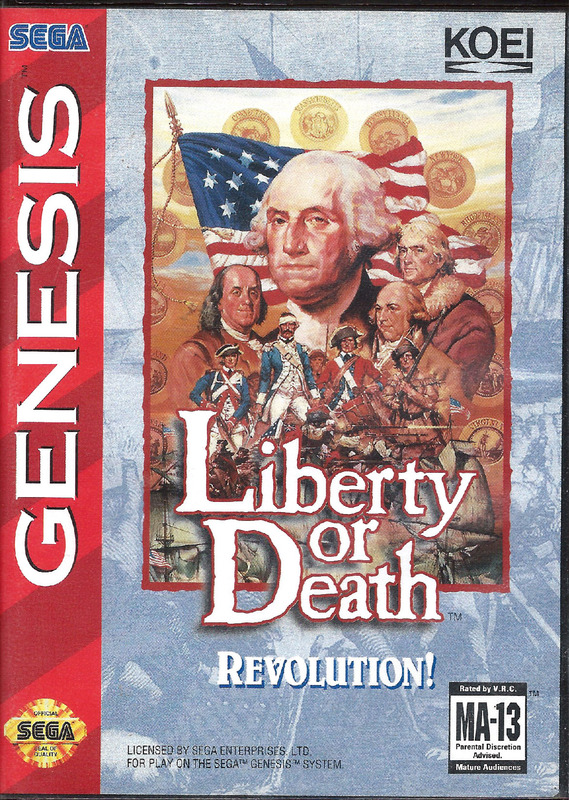 But like it’s 8-bit predecessors, games developed for the Genesis relied on the cover art visuals of their boxes to sell in the high street stores. 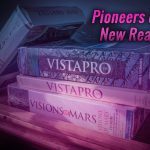 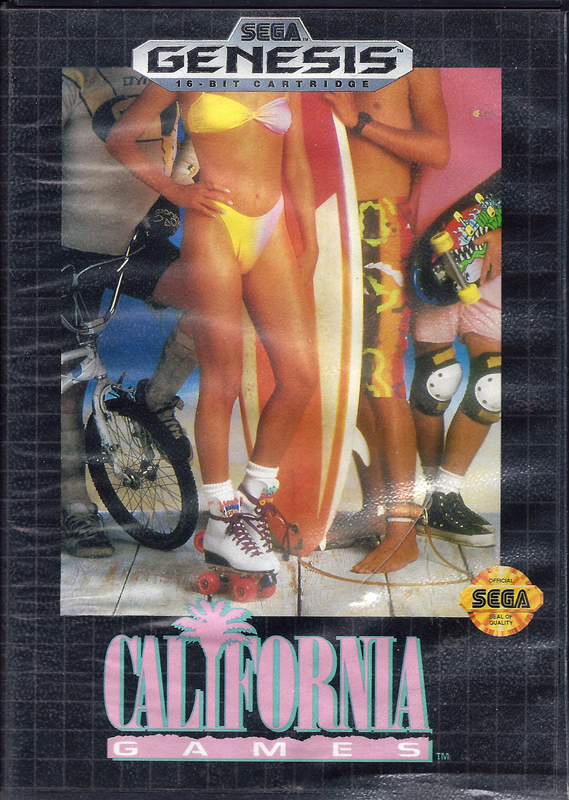 Pre Internet is an interesting time period for cover art, artists had a number of competing requirements to fulfill. 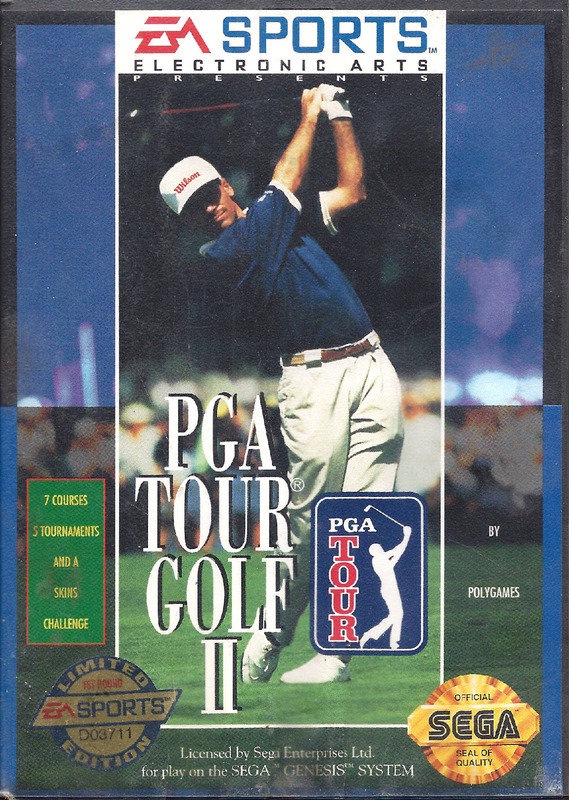 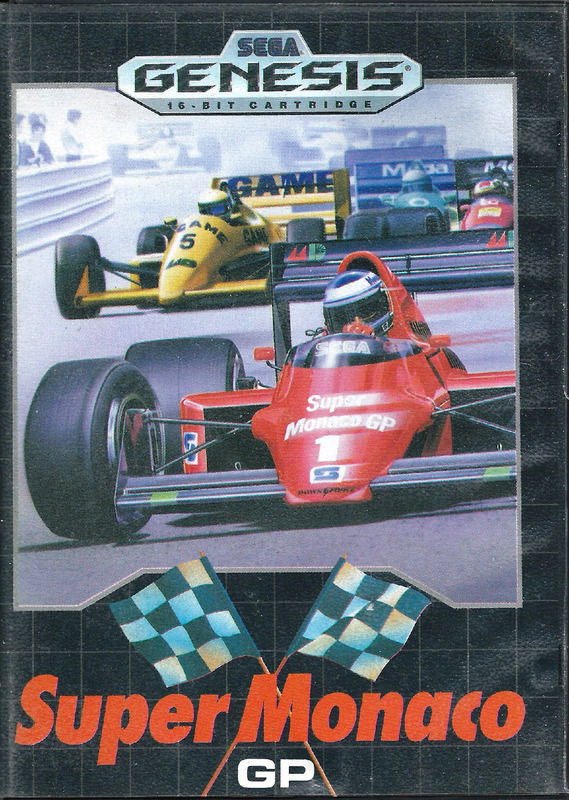 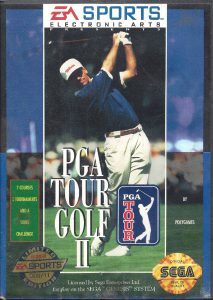 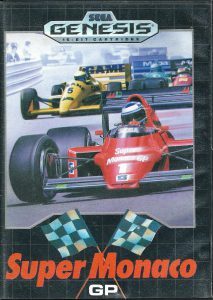 As mentioned, the box art was a major marketing tool and on crowded shelves, the title needed to stand out. 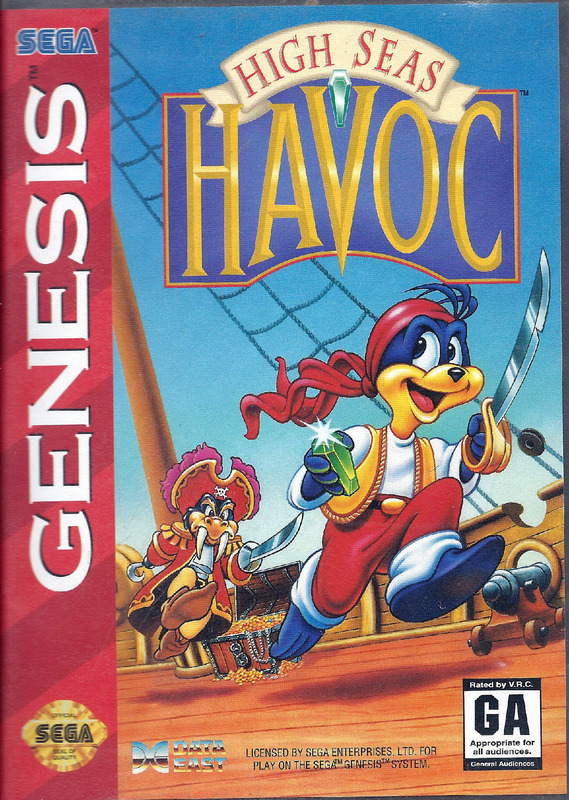 But striking the right combination of eye catching colors, illustrating unique features and game play while setting the tone of the game is a challenging feat. 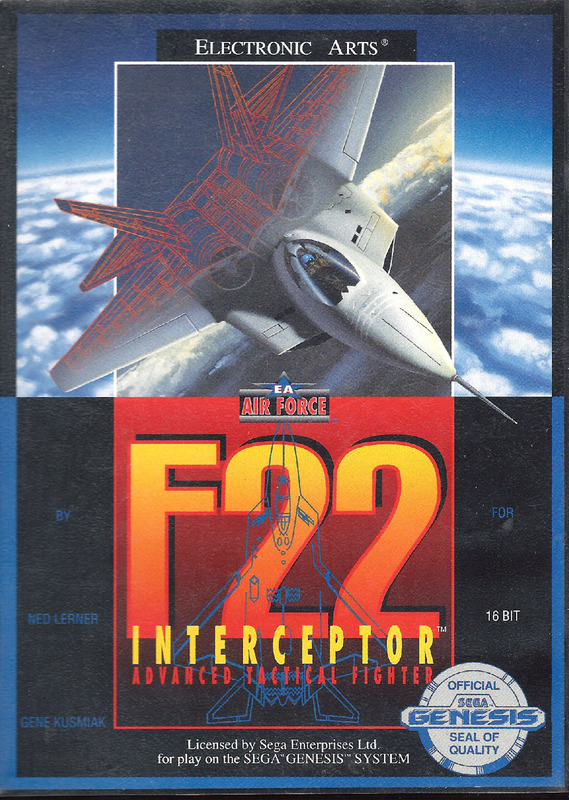 The first two scans below illustrate the competing objectives well. 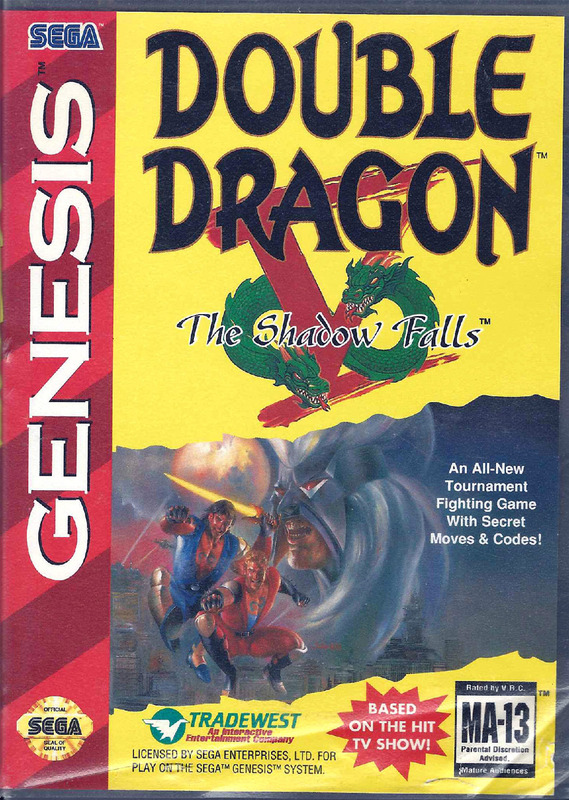 First is Double Dragon V – the predominately yellow cover has a huge “pop” effect, it was certain to stand out against neighboring titles on the store shelf. 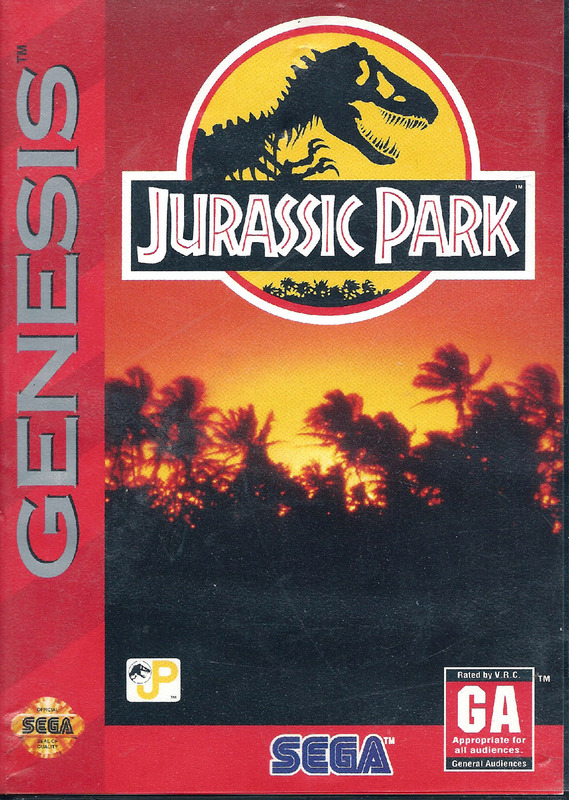 The art work is small in comparison and the cover relies heavily on the franchise name. 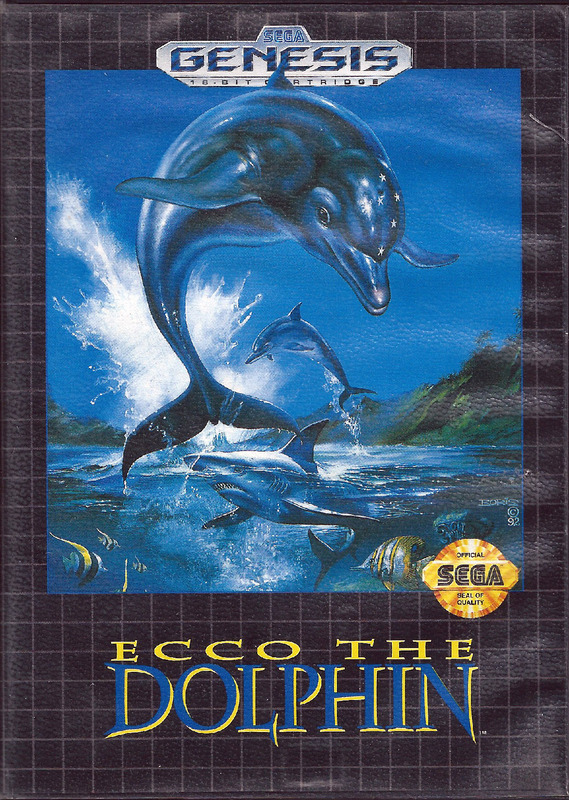 Next up is Echo The Dolphin – This art work is calming and subdued but upon further examination, the supporting characters in the background give context to the scenes and hints of the game play. In my mind these are 2 very different design and marketing approaches. 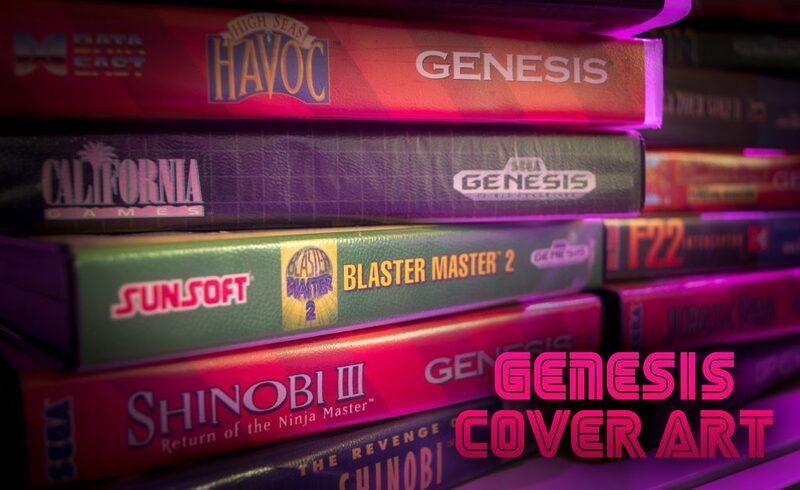 Please enjoy these jewel case scans from my collection. 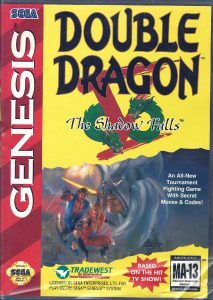 Double Dragon V - I love the TV tie-in exclamation on the bottom of the case. 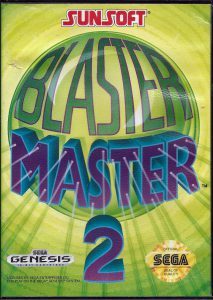 The large amount of yellow is distracting from the art work. Ecco The Dolphin - The art for Ecco harmoniously compliments the game play. 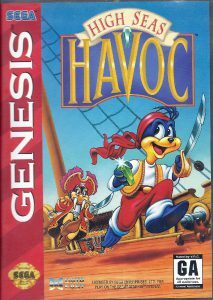 High Seas Havoc - The art has platformer written all over it. 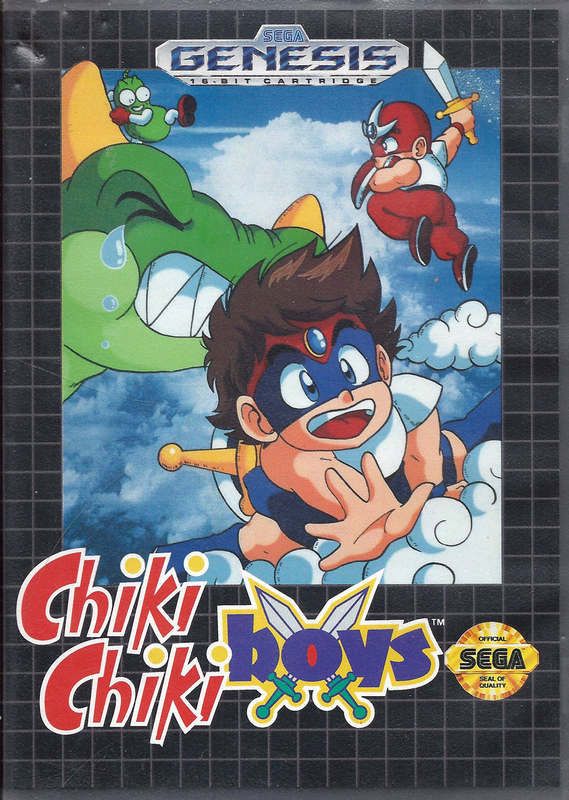 Fun and playful. Jurassic Park - Using artwork from the movie cements the game/movie relationship. 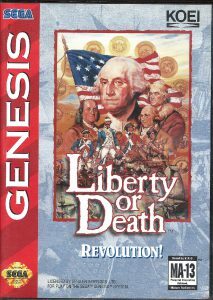 Liberty or Death - Yup, it's a strategy game and revolutionary figures are the obvious choice for the game and title. 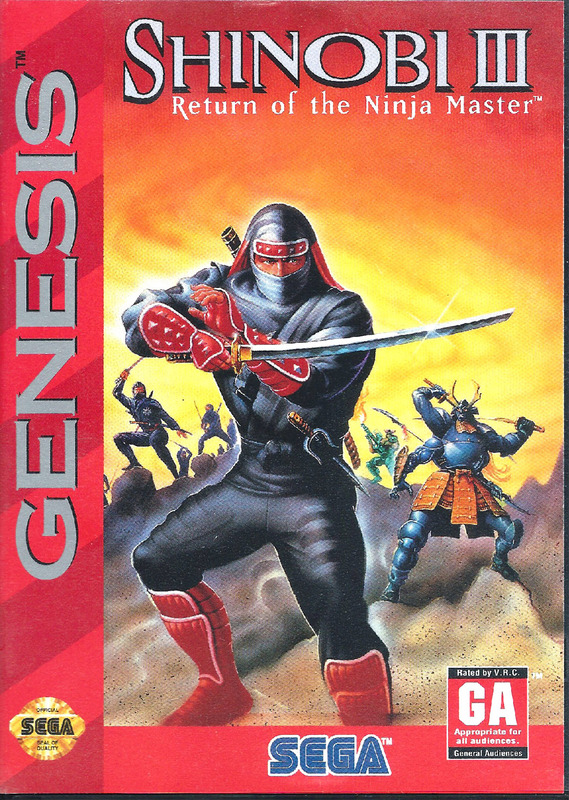 Shinobi - Who doesn't like Ninja's? The art work leaves no question about the subject of the game. Revenge of Shinobi - Classic 80's throwback art. 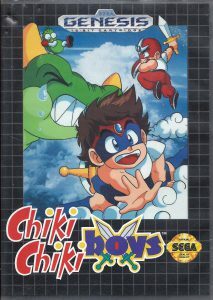 Chiki Chiki Boys - Fun playful Japanese art that compliments a bold and energetic platformer. 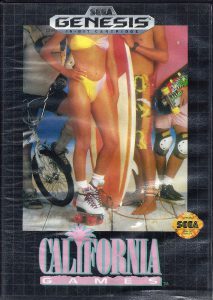 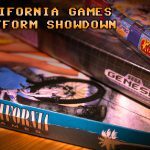 California Games - Nothing says California like bikinis, surf boards and skating! 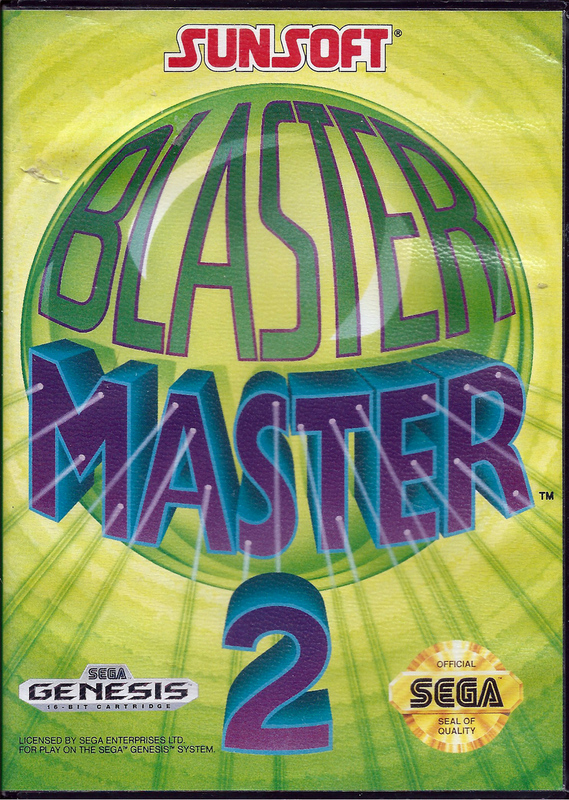 Blaster Master 2 - This cover gives little clue to the subject of the game, there's a quite a disconnect. 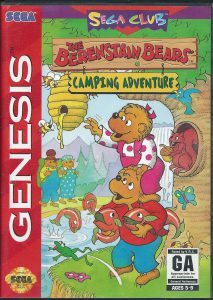 Bearenstain Bears Camping Adventure - The Bear family makes the perfect cross over from book to game. 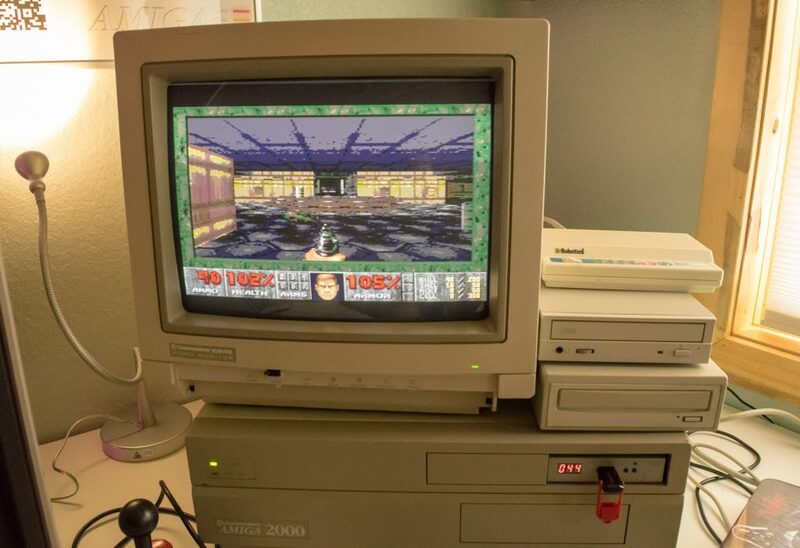 The art compliments both. 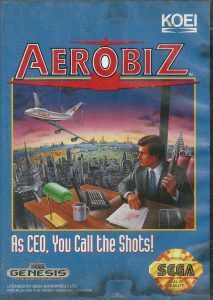 Aerobiz - High rolling 80's business scene adorns this business simulation.